I enjoyed our study of Psalm 103 together so much, and I’m already looking forward to our next new study in March! In the meantime, I’ll be praying for you as you continue to study the Word. Don’t forget, if you want to go through another study, that we are rerunning the 1 John 3 study this month, posting a link for each day’s lesson on the Busy Mamas Facebook Group page. We traditionally have a giveaway at the end of each study. This gives you an opportunity to share what you’ve been learning during your time in God’s Word, and it also gives everyone a chance to win a fun prize! For this study, we’re giving away one $50 Doorposts gift certificate! This should come in handy this time of year! To enter, answer one of these two questions (or you can answer both in separate comments for two entries). 2. Share one way you have found to make time for Bible study while taking care of your home and children. What do you do to keep your children busy while you study? Have you figured out a way to wake up early without the children inevitably waking up early, too? 🙂 Share your best ideas. This giveaway ends at midnight, Saturday, December 6, so don’t put it off. Enter right away! Maybe you’ll win and be able to make that money go even farther during Doorposts’ special Christmas sale. Check it out! All the Busy Mamas Bible studies (including the hot-off-the-press edition of the Proverbs 31 study) are on sale. The cool, sleek Moleskine notebooks are on sale. They’re perfect for your Bible study notes. Our brand new Love Is Chart and its companion book are on sale. Children’s picture Bibles, music, doll kits, word art and other great stuff are all on sale, now through December 17. Win the $50 gift certificate and you could buy all four print editions of Busy Mamas Bible studies, four Moleskine notebooks to go with them, and still have money left over! I’ve loved learning about how great God’s love is, from the Psalm 103 study. It amazes me, how immense his love and forgiveness are. I think God is teaching me that even when I feel like He’s not there, He really is. I’ve been going through a period of feeling abandoned spiritually, and don’t like it at all. But, I do believe that God is trying to make known to me that He is still with me and will never abandon me. My trick for getting in study in the mornings is first to get up early enough (5.45 in my case) that you don’t necessarily wake up everyone (although my two boys – 8 & 5 – usually wake around then anyway). Secondly, we’ve taught them to stay in their room until we go to say good morning (7 on weekdays) and that they can read in their room when they wake up as long as they let me read my Bible. So far, it works! I have been learning that the Word of God is applicable to every detail of my life. It addresses emotions, situations, thoughts and motives. Also that it is timely! I am able to read the Bible early in the morning or if for some reason I can’t do it, I remember that my commitment is to read it daily. I don’t condemn myself, I simply try to find another part of the day to get it done! I remember that there is no condemnation in Christ Jesus and that He loves me with an everlasting love!! Struggling to make time for Bible study right now. It has to do with feeling abandoned spiritually, and I know in my heart I need to carve out the time regardless. With many children, in the past I’ve found sometimes I have to do my Bible reading and study with them. And that’s fine! In fact, sometimes I learn more when I’m teaching them God’s word, than if I were studying alone . What I become more and more aware of, are God’s abundant mercies. If we forget them (and don’t live them/ don’t work out our salvation), we will stumble and become ineffective and unproductive in our knowledge of our Lord Jesus Christ (cf 2 Pe 1: 3-10). We have to live in the knowledge and remembrance of forgiven sins and not longer in sin. The past studies of 1 John 3 and Phil 3 have also engraved this in my mind. I am eager to share this with my women bible study group. And I am looking forward to the next study in March! I often rise early in order to study my Bible. My most successful times are when I wake an hour before my children will. My DH sometimes wants to chat, but I often have time to work on my memory work and devotional reading at this time. I suppose that God is teaching me to trust Him more and more. We are having a medically complicated, twin pregnancy. It has been a very trying time, I am looking forward to seeing our two precious boys once they are born. The Lord has been good to gently remind me of His faithfulness and new mercies every morning. I was so struck by the idea that the Lord puts a CROWN of love on me every morning! The Psalm 103 Bible study renewed my hunger for the Word of God. Early morning has always been my favorite time to meet with the Lord, but our last baby has made this particularly challenging and I’ve often felt frustrated by a lack of quiet or alone time. Last month I decided to try to get up early, but if I had children up, too, I was just going to press on. Some of our older children helped keep the littlest children busy so I could sit and finish my daily study. I just finished reading the book of Hebrews. I’m learning that not only is the Bible God’s love letter, it’s our handbook for how to live life. The words in the pages of the book of Hebrews brought a lot of encouragement and I feel a sense of renewed strength. I have four little ones, two of whom I am homeschooling. I have been getting up at 5 am to do read my Bible without interruptions. I feel refreshed and ready to start the day on the morning that I read. I wake up between 4 and 5 in the morning on pretty much a daily basis. This allows me to have quiet time to spend with God, prepare myself for the day, and get the house in order. My baby often wakes up early as well, but then goes back to sleep shortly after and my older kids usually don’t get up before 6:30. I know this wouldn’t work for everyone, but I have always been an early riser and have never been good at staying up late to catch up on house work and whatnot after the kids are asleep – I work on it all in the morning instead. I so appreciate being able to participate in these Bible studies! Lately I have been learning that God has so much to say about ALL areas of my life. If I take the time to quiet myself before Him,pray, listen, and study the Bible carefully, it’s amazing to see how much wisdom and direction for life He has freely given us in His Word. I get up early to make time for my study. When my kids were babies and toddlers, I couldn’t do that, because they were not good sleepers at all! Now that my “baby” i 4, I can get up early and do some studying…as long as I go to bed on time! It’s very hard to get up early, but it’s even harder for me to carve out time to sit still in the middle of busy days. The Lord has been working in my heart for a few months now on the fact that I need to be willing to serve without question. He reminds me daily that serving my husband and son are not only a call but a privilege to reflect Christ and his daily ministry. Not only that but He has been working in my heart to willingly serve others without second guessing or complaining but with a grateful heart for more opportunities to love others as Christ loves us. I am a work in progress but I am so grateful for studies such as Proverbs 31 and Psalm 103 which have reminded me over and over of how much the Lord is so loving and grants so much grace and mercy. Thank you for such a wonderful Christ centered and in-depth study of God’s Word. I am still glad to be studying Gods word and picking up info about the people he has used. They are not all “perfect” people they were the every day run of the mill sinners just like us. Studying Psalm 103 was so wonderful! I was really struck and convicted about the fact that God doesn’t chide us. He brings us to redemption and then that’s all. I realized I often chide and nag and that if I am to exemplify the Lord to my children, I need to act more like Him. Again, I cannot say enough how wonderful that study was to me and my children. There is just as much darkness in just trying to “be good” as there is in choosing to disobey God. Following the rules, without Christ, is a dead end street. My first time with God was established many years ago I made a deal with God that if I did not read my daily study right before bed each night that he would not let me sleep. And I could go to bed drop dead tired and if I tried to just sleep without reading I would be kept awake. It did not take to long to realize that it is much easier to read before shutting the light out. Because if I hadn’t read bit shut the light out it was a sudden awakening that I had to turn the light back on and read. Some times it was a goal of 3 chapters now I read just one chapter on the plan I am currently using. As we all know, studying the Word is so crucial to our growth and to guiding us through the day. Starting the day in the Word is the best time however I do not always do this as the only time of day this can most effectively occur is if I wake up at least an hour before my son does which usually means between 5:30 and 6. Some days that is so hard but when I do peel myself out of bed, I do not regret it as the time with the Lord is so incredibly refreshing and needed. My son used to wake up if he heard me but now, I believe, he has gotten used to it or I have some how mastered tip-toeing :). 1. I am a bit behind, and still basking in the “Pristine Felicity” that I posted about earlier! 2. When I had toddlers in the house, I learned to grab the time whenever I could. I began to learn not to be angry when I was interrupted, knowing that it was good for my kids to catch me in the Word. To listen to Scripture when I could. And make family Bible Time right after breakfast and at lunch a non-negotiable. God has taught me that His grace is sufficient. He understands why I struggle to focus my mind even when I don’t. He accepts my febal attempts to study and apply his word, and He is a patient instructor. I have to do my bible study and prayers before the kids get up. I live in a very small home with paper thin walls, and it is difficult to move around without waking them. Sometimes I start my reading in bed on my phone. If they catch me praying they will often join me. I have been learning that though an army may surround me, if my heart is resting in Him I need not fear! My daughter has a lesson paper from church that she reads in the morning while I am having my own quiet time. When she is finished, she can read or play, and when I am done we eat breakfast together. She is ten, so much easier to do this than when she was younger! Love the whole study of Gods mercy and forgiveness towards us. I do my best to take a moment before my day starts to give time to God. Sets the tone for my day. One of the major teaching points I have learned from God’s word lately is that things that happen in today’s world have been happening all along. Sin is not a new thing. As the wife of a police officer, I sometimes spend too much time worrying about the “what if”s and not enough time resting in God’s sovereign Grace and protection. I need to focus more on spreading the gospel than worrying about things that may or may not happen. God has been putting obedience on my heart. Not just “do what God says” obedience, but the kind of obedience rooted in faith and belief inHis plan and His timing. How do I find time to get into the Word? Our homeschool schedule includes a quiet time in the afternoon where my boys can rest or read. I use that time for Bible study and prayer, although lately, I have also used the time right before I turn in for the night to read my Bible. I am meditating on Psalm 103:3a (Who forgives all your iniquities). It is easy to get hung up on past sin and be really hard on ourselves, but when we have confessed and repented, the Lord is faithful and just to forgive us. I try to rise early to make time for Bible study. I am not always successful with this – it’s definitely a discipline in process. I have been learning through this study in particular that me holding on to guilt of past sin is unfounded because God has forgiven and remembers it no more and He even takes away my guilt, if I surrender it to Him. I tried to get up early but kids dont always decide to sleep when you think they should. A couple mornings I did get quiet. I would do some during their schoolwork like handwriting practice and spelling time. Little ones love trains and will play with those during this time. I would also try to get some done while they ate breakfast too! lol. For finding time to study, I have two strategies. I have two boys who do not go to sleep well at rest time now that they are sharing a room. I have taken all my study stuff in there and just sit in their room reading while my other kids are doing what they are supposed to do in other rooms. I’ve found that the only way to have time to focus is to get up before my kids. This is much easier now that they all sleep through the night. This is a hard discipline but so beneficial. I am so glad God loves me more then I do. I find myself wondering how He continues to forgive and love when I continue to fall so short. His love is unfailing a concept that is hard to wrap my mind around because no where else do we find it but in Him. He is not only faithful in pouring out His love on me but His forgiveness for ALL things is just as continuous and overflowing. Praise God for His word that we can learn it and mediate on it’s truth. I have been going through the Proverbs 31 Doorpost study for the past several months (far longer than 30 days-but that’s okay!) I’ve seen new layers of the Prvb 31 woman that I had never seen before. I love the idea that while her family is probably physically clothed well and prepared for winter, they are also clothed in the scarlet blood of Jesus , so there is no reason to fear (necessary to keep telling myself that when I am fearing the future). From lesson 21, the Matthew Henry commentary on Prvb 12:4 that Pam referenced brought a sting to my heart and tears to my eyes: Henry defines a virtuous woman as pious, prudent, ingenious, industrious, active for the good of her family. As I was reading that, I was feeling like I measured up fairly well. I consider myself to be industrious, frugal, creative, etc. But it was the next line that brought conviction: “a woman of spirit, that can bear crosses without disturbance.” Ouch, not so much. I can be quite disturbed by crosses that come my way- but, O, how I long to be that woman; It’s the Mary part of my relationship with God that is a struggle; sometimes it is easier to be “doing” than just “being”. I have also just begun reading a chapter from Matthew a day. I was struck by this description of Joseph: “Then Joseph her husband, being a just man, and not wanting to make her a public example, was minded to put her away quietly…” This just man dealt with what he assumed was sin, but he did it in a quiet way, so as not to make an example or a spectacle of Mary. It challenged me in the way I correct my kids- when possible to do it quietly, privately, to deal with the sin, but not to cause embarrassment or make a “public example” of them- even in front of siblings. It’s amazing how God’s word is ever new- something that we may have read dozens of times, strikes us in a new and fresh way. I have really enjoyed all these bible studies. I have found for me the best way to get bible study in without getting sleepy(reading in the am or pm makes me sleepy) is to do it at nap/quiet time. In our home we require that if your not napping you must be quiet(usually they are reading or looking at books). So I am able to read my bible and have my quiet time while the kids have theirs. Works great for me. I am trying to learn what it truly means to have a meek and quiet spirit. There is still so much that I have to learn! I really love the study and start off on track; however w/ 3 little ones morning don’t always work. Sometime while kids nap & watch a DVD I am able to go over the study. It depends on the day. I have been learning that God is present in the small details as well as the big ones. I love the word studies that help me to understand what the words really mean and the richness that they add . I have my quiet time on the morning. My children are older so we are all having our Bible reading at the same time. I use to do my Bible study/devotion time when the kids had their naps. This time worked out best for me. I am learning about finding my strength in Him and being renewed and repaired and restored like an eagle. Now that my kids are older, I get up early and spend my time with the Lord before they get up. I like to have my tea by the Christmas tree and pray and study. God has been teaching me that failure is my own concept and that he uses imperfect people all the time to glorify His name. I don’t have it all together. 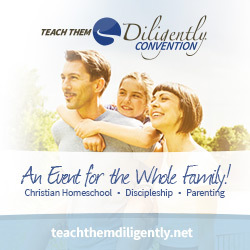 I do not have to wait until I’ve ‘arrived’ to disciple my children. God had recently reminded me that my place in life (what is really should be) can only be found once I know where God is and what He is doing! such a good reminder of who we are, what we are here for, and that are worth is in Him! I try to make time for bible study by reminding myself that at this point in life, raising my children is a sacrifice of worship and so if my “quiet time” is short- and interupted, He is okay with that and can still speak to me. I can continually pray throughout the day and seek to hear from Him. 1. God has taught me, through the Psalm 103 study (of which I am *almost* finished), that He does not give up on His children. That He does not hold grudges, that He is quick to forgive, and that He is quick to cleanse us from every sin even when they are as plentiful as the hairs on our heads. He wants us to live in a secure state of trust as we walk to obey Him. We can’t disappoint God because he knows our frame. Even though we are made from dust and will go back to dust, He still views us as His cherished children and has set up a plan for us to live an abundant life here and an eternal life in Heaven with Him. What an amazing reality!! 2. Well, I work full-time, so I have been doing the study at work on my breaks, but when at home, I try to do it during naptime or when they are watching a short movie. If I tell my 4 year old that I am reading my Bible, he knows it is important and will generally give me space. Teaching our children that Bible-reading time is sacred time is very important. I can’t wake up before my children because they get up around 6 a.m. and I just can’t seem to get up earlier than that! I have been working in my devotion & time with God in the morning when my husband heads off to work & the kids are still in their rooms. The weekends are harder, as we are all home together & I normally do not get up way earlier then everyone else. I have been enjoying the Psalm 103 study & how we have gotten into how great & powerful the love of God is for us. A great reminder each day when the kids mess up & I am reminded how I do the same thing to God all the time, but yet he is a loving & gracious God who forgives me EVERY TIME! I’ve learned so much from these studies, and I really appreciate the extra effort you put in for the children’s “assignments”. Using the Runaway Bunny video blessed me indeed (and I hope my kids:-)) with the easy to grasp concept of God Never giving up on us. He does whatever it takes to reach us. Aaaaahh, what a joy to be His daughter. Thank you for these studies! They truly are a blessing and all the other materials I have from Doorposts as well. Your faithfulness to Scripture above all things has been encouraging, inspiring, and at times, convicting. 🙂 Praising the Lord for your family and the outpouring thereof! K, for Q1: Currently my littlest gets up at 4:45am so I have “quiet” time in the morning while she enjoys no one being around to take her toys. 🙂 Different seasons have had different schedules though. Doh, that was Q2 – this is Q1: (hehehe) The Lord graciously has been revealing my utter depravity and reliance upon Him to continue to struggle against my selfishness. I am surprised (though I don’t know why really) at the depth of my vain desires. Bible time with children….well, we read a chapter at the breakfast table and then journal it. The younger ones will copy a summary sentence in their journal, and the older ones may journal whatever they wish – a summary, a few verses from the chapter, anything odd that stood out to them. And Mama does it too! Daddy also reads a chapter to the family from the Bible along with some other study aid after dinner. Right now we are in Revelation, and doing an Advent book. 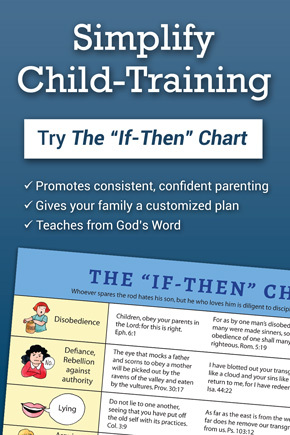 When my children were younger it seemed I never had time for Bible study and as they grew older and activities increased it only became more difficult. I now try to rise a little earlier in the morning or spend a few minutes at night after they are in bed, most days I am successful. I have even found that I can focus well when they are in music lessons and I am waiting for them to finish. Lately I’ve been learning about joy. Not a”joy”that is circumstantial, but true joy that comes from Christ. I go to a bubbly study at my church on Tuesday morning which is wonderful to study with mature women of the faith (and the kids are in a bible study class too!) Other mornings i try to read before they all wake up or just read a loud to them. If that just isn’t working I’ll give them a project to do (like play dough or puzzles) and that will keep them worry enough so i can focus on God’s word for a few minutes. God is putting forth a perfect model for me to strive for in my relationships with my children and others. I find the early morning (before the kids are awake) to be the best quiet time for me to focus on the Bible. What a treat it has been to actually be able to go through one of these studies at the time offered! It has blessed my soul. As a foreign missionary raising and homeschooling a family in Zambia, working with so many needs all around from both in and outside of the house, and still desiring to grow in my walk with the Lord, it can be difficult. I have found that I have to be purposefully protective of the time God gives me. If I stay up late at night trying to catch up on work, I know I will have trouble rising early in the morning. God has taught me that for this period of time and “assignment” right now, getting up at 04:00 with my wonderful husband for prayers allows us to be armed for the battles that will come during the day. We finish about 05:00 or 05:30 and that still gives me time before the sun comes up to spend quality time studying God’s word and writing. About 06:00 the sun and all the people who need me rise and the race begins! So thankful for the early morning God time! Through the gift of His Word, God has been teaching me so much lately. To sum it all up, He has most importantly been teaching me to depend completely on Him and let Him fight my battles. When others wrong me by lies, slander, or other agendas, I have to learn to respond Biblically in love and let God sort it all out. Wow that is hard sometimes, but I’m learning to let Him hold my tongue and it’s amazing the grace He shows through reminders in His word and affirmation that I’m on the right path. I am especially finding strength in the book of Nehemiah right now, as God is speaking directly to my current situation through the words of this book! Praise God for the gift of His Word in our native tongue — so many here daily struggle as they have such limited access to this and so their Christian growth is limited. Prayers are always welcomed for this little part of the bush of Zambia! 1. There’s so much learning to be done. Lately I’ve been reminded over and over that we are to love others as He loves us, not as we see fit. It’s easy to say I love someone but treat them in whatever kind of emotion I feel like pouring out at any given moment, whether I’m joyful or hurt in some way. Every single day gives me the opportunity to refresh this message in my mind and heart as I correct my children’s actions. I know they love each other, but it’s up to me to teach them how to love on God’s terms. I’m not strong enough on my own to always make the right decisions and act lovingly, which is why I rely on Him to uplift me out of my own sinful nature. P.S. I’ve also learned recently the difference between belief and faith. It’s easy to say I believe in Christ and place Him gently on a shelf as I live my daily life, reaching out to Him in crisis. Faith kicks in as I act on my beliefs and hope on Him. Faith is the evidence of my belief in Him and is shown to others through my daily actions. Hebrews 11:1 says, “Now faith is the substance of things hoped for, the evidence of things not seen.” I want to live a life of substance for Him on this earth. I have really enjoyed the Proverbs 31 study. It made being the wife/mother/woman God created me to be seem more attainable. My husband, Mother-in-law and Father-in-law talk about these verses in relation to me as they are giving me encouragement for doing what I do at home. I have always felt I don’t do ANY of the things she does, who can do all she does – she is superwoman! It never felt very encouraging, it almost made it feel more unattainable (even though I KNOW this is not what they were intending!) Going through this study has made Proverbs 31 seem attainable, it has made the daily routine of being a wife, raising and homeschooling 5 little kids and having 3 older children to keep up with and keeping up a house not only attainable but an honorable, Godly calling that will have impact on my kids today and in the future. I am at WAR for their hearts and I am fighting the battle with God’s help! Even the mundane, monotonous tasks have value and are important! It really has helped my attitude, focus and getting those “icky” tasks done each day! I do admit that I have 1 day of the study left as we sold and bought a house and relocated in the last few months so I have done the study as I could! THANK YOU for these amazing studies, I have saved all of the Psalms study to begin when I complete this last Proverbs lesson! 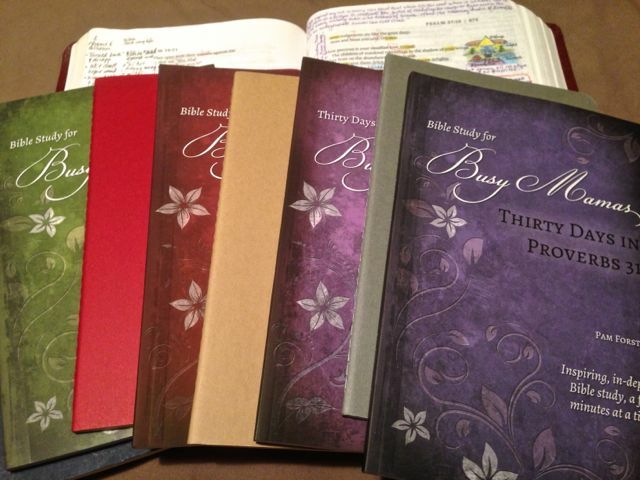 Finding time to have a “quiet time” to study my Bible – oh the challenge with 8 kids – 5 of them 12 down to 9 months! Whew if I had the answer for this one I would feel like I’ve won the lottery! I KNOW getting up early is the best option but as stated in a number of other posts inevitably our children hear us and want to join us! Is it just me or do the kids do this to mom but not dad???? Not that they do not love and value their daddy’s it is just they know the different sound of mommy’s foot steps compared to daddy’s, ha! We are TRYING to get me up and have my husband take care of the kids while I have mommy time (my two essentials Bible and exercise) – still WORKING on it. For now I grab moments when I can and these studies have been so great because they are as long or short as you want to spend and I get nuggets to think about throughout the day even if I just have 15 minutes! One challenge is the awesome Bible studies I’ve been using are the ones that are in my e-mail from Pam and our computer is in the kitchen (a.k.a. – Grand Central Station!) so that has added a small challenge because as much as my husband tries to create a barrier for me – the kids just don’t see it! My goal is to get that morning routine to be more routine for me that works best otherwise the day just gets away from me and by 10PM I am just too tired to focus! I loved reading some ideas like not letting kids out until you say “good morning” or having them do some quiet time along side you, unfortunately I will often rely on Veggie Tales – YIKES! Through the Busy Mamas studies I’ve found that God is reminding my that I don’t need to be a ‘seminary trained expert’ to study his word, and that I don’t need a published author’s devotional to direct my study time. Through His Spirit, He will guide me through unpacking His word and applying it to my life! I am learning about what forgiveness really means. This includes my own sins, past and present. It also includes some grudges I was carrying even if I didn’t mean to be. To forgive the way God has forgiven us because of the blood of Christ is remarkable life changing forgiveness, not just words. Praise God. I’ve learned my desperate need for my Savior! I’ve been praying for a pure heart and clean hands for my boys and for my whole family. David was surely a man after God’s own heart and I’m grateful to learn from him while learning more about God. God knew that this Psalm 103 study was exactly what I needed this month. Thank you so much for writing it. I needed to be reminded of ALL of His benefits, how much he loves me, and how his nature (which I want to learn to imitate) is full of mercy and compassion. I have been on a journey of forgiveness, and this has been so good for me to be immersed in this month. I love learning more and more about the Holiness of God. Makes me feel so humbled that He would choose a sinner like me for His own! What a great and wonderful God we serve! 1. I really learned about God’s forgiveness! I knew it, but I didn’t KNOW it. This study gave much such a clear picture that I am really, really forgiven and pardoned and that I don’t have to live in constant fear of consequences of sins already confessed and forgiven. God wiped me all the way clean, not just clean for Heaven, but clean for everyday living for Him! On most days, my study simply does not get done unless I get up early before all of the children. They usually trickle in as I finish, but I love that the first thing they witness in the morning is me studying God’s word. I usually ask them to sit quietly near me and read or look at books until I am finished. 2. Getting up early!!! that is the ONLY way I can consistently get in God’s word… and somehow that opens up other chances to get in His Word throughout the day! And the other thing that helps is… keep the computer off! Thank you for the Psalm 103 study – for Q1 – I am so incredibly thankful for the lessons on forgiveness from this last study. That God knows my weak frame, and forgives me, gently, as his daughter. I am so incredibly thankful for my own Dad who has always been so forgiving of me. I am so humbled at how much he forgives – and it has made a positive change in my parenting towards my girls. God has just been speaking to me on forgiveness and gentleness, with my children, my husband, and our friends and family. God has shown me how His grace can help get me through tough times during the week. Every Sunday I ask God to help me recall receiving communion so I look forward to it every week and remember I have His grace throughout my week…I just have to remember it! In answer to question two, I play my days by ear. I have three girls ages four and under, and sometimes we are up a lot at night. If our nights went fairly well, I will get up before them, And if I go straight to the living room and start, sometimes I get it done before anyone is up. Otherwise, I am not above putting on a little show in the middle of the morning to get my study done. They love memorizingThe scripture with me. I will totally be reading others comments to glean some good pointers. Thank you! Generally I wake up before the children to read my Bible and talk with God alone. On the days I don’t, I try to sneak away at lunch or later on. If I am super tired, I ask God to wake me up when I need to get up. Generally, I try to get to bed early enough to get the sleep I need. Isaiah 26:3-4 has been my theme verse for the past 6 months or more. I’ve studied it and meditated and memorized it. What I have been learning is that God wants us to totally be dependent on him. Not be like the Israelites who wandered in the desert complaining when things went wrong or the way they wanted. We must trust him in all situations and circumstances and to keep in constant contact with Him. He is with us all day and night. So, why not talk to him about everything that is going on? 1. I am thankful that God is reminding me of his all powerful love and grace. I try too hard to fix things myself or make it right or force happiness. I am being reminded right now that these things come from God. It’s nothing I can do on my own. I am working on allowing God to do these things for me and hand over the control to him. 2. I have been getting up early with my husband. I make him a quick breakfast and send him off to work and then I work on my bible study until the children wake up. I can usually get in about 30-40 minutes of good study time. I am thankful for this last study you did. I learned about a lot of great bible study tools and I am amazed at how much more I learn my really picking apart the scripture. The same psalm I have read for so many years, now has a whole new meaning and it warms my soul. 🙂 Thanks! The best way I have found time for bible studying time is by putting it first! As the old saying goes, “You always have time for the things you put first!” By not allowing myself the privilege of any social media activity until after I have completed my bible study I realize that I seem to have plenty of time to study. By closing my daughter’s bedroom door as I am going to bed each night, I find that if I am fairly quiet in the morning she does not hear me and get up too early. Thus, allowing me some quite private time. This is perfect for doing my bible study in solitude! This past Sunday our pastor at church had a study on suffering. If you truly are a saved Christian we shouldn’t be surprised when we encounter various trials or sufferings. So instead of becoming bitter or running from them, embrace them and know that God will be with us, and if we accept what is being brought to us with a thankful heart we will shine our lights for Jesus and make others wonder what makes us different. Blessed my heart! God has been teaching to be content, patient, keeping my attitude pleasing to Him, and keeping my priorities what they should be. In the past, I have either had my quiet time and Bible study either early in the morning before anyone else gets up or during nap time. But I am finding that neither are working very well at this time so I am trying to figure out when will work best for me right now. I bought your study guide of Proverbs 31. It has been a tremendous blessing in my life. It truly inspires me, and it definitely changed my point of view of the Virtuous Woman. I am almost half way. I want to share this study with the ladies in my church, but I have to translate it in Spanish. It will be worth time that I am going to spend translating it. This study is a treasure, and it is impossible to keep it for oneself; we need to share it. The Lord Jesus Bless you. God has been showing me lately that I am not in control. I need to focus less on my to-do list and more on spending time with God in the word and in prayer. God’s timing sometimes seems excruciatingly slow, but I must be patient and trust that He is working, even when I can’t see the work immediately. Yes, as Christians, we all know this intellectually, but to live it out every day and not succumb to worry and fear is a challenge. I don’t have little children any longer, but when I did, I found that morning was not always the best time to spend in prayer and studying the Bible. Some days, it was, but other days, that didn’t work out. I would try to have a quiet time in the morning, but if that didn’t happen, I would try to find other points in the day to connect with God, such as during lunch, nap time, or after the children were in bed. If we stay in constant contact with God all day through little prayers here and there, we are less likely to forget our focused times of study and prayer. The more time that we spend with God, the more time that we want to spend with God, I think. Thank you so much for all that you do, Pam. I have greatly enjoyed studying Psalm 103 and now 1 John 3. I personally went through Psalm 103 with you in November. It was very hit and miss, as we were recovering from our first family wedding. But I decided to start over in December and to do it with our 3 children still at home. We do it right after breakfast, and everyone has been enjoying it so much. Thank you for these incredible studies. They are very “doable”. Yet they are stretching. We are trying to figure out a way to study with our Grandma long distance. Maybe work on the study daily through the week, and then a skype session all together one day a week? We will keep you posted. I am learning to let go of my children and give them to HIM and truly trust HIM. The older ones are struggling with their faith. As a mama that is hard to watch. Without Jesus and HIS word, I couldn’t bear it. I am thankful for your Bible study. I can do a little bit along the way and it doesn’t feel so overwhelming. I already feel overwhelmed with our current circumstances. Studying the Bible is my breath of fresh air. One major thing The Lord has recently brought to my attention is SLOW DOWN and keep tge main thing the main thing (Live to bring glory to God and become more like Him). In our current world of new technology, new info, new this and that…..it is very subtle but now that I’m recognizing how easily I become off track, I see how it all breeds discontentment and distraction in my life. Really difficult lessons….making new habits and trying to change my heart attitudes! 2- I finally got the 2 – year-old into his own bedroom. And I keep all my study supplies on my bedside table so all I have to do is turn off the alarm and reach over and grab my stuff! It’s worked great as long as I don’t stay up to late reading the night before . . .
Not always successful, but try to do while my babies nap. If this doesn’t happen I try during afternoon naos…if that doesn’t happen I do at night after all kids asleep. If I’m working that day, I do on breaks. Blessing the Lord with my Whole Heart. With ALL that is within me. That leaves little room for doubting, grumbling, compalining about material good breaking, time being off, items/rooms being dirty. If I add remembering all he’s done, wants to do, and is going to do – that squeezes out even more brain power to dwell on earthly inconvieniences. And I’ve had my share of doozies this month. It’s kept me not only sane, but joyful. I like I have an overcoming secret tucked in my wee aching heart. My youngest is 10. If he wakes up before I am finished, he likes to sit with me and read. It’s easier when they are old enough to be a little more independent. I was overwhelmed by God’s tenderness with this study, and convicted/encouraged to evaluate and work on displaying that same Christ-like tenderness in my own parenting. The daily challenge of parenting and schooling three kids can reveal frustrations, heart attitudes, and even speech that contradicts my tender love for them. We recently went through the fruit of the Spirit at church. We studied in depth each of the character traits mentioned and cross referenced each one with other Scripture verses. The big illumination was that as hard as I try, I will never be able to practice all of these traits in any given day. Each and every one of them are given to me as a gift from the Holy Spirit. I am incapable in of myself to have the fruit of the Spirit. We also recently studied the Lord’s Prayer and cross-referenced a couple of other places in the Bible where this model was used. Although the words were not identical, it was clearly seen the same basic components were present in each prayer. Once again, it was so thrilling to see Scripture in action. My daughter and I were discussing friendship. A friend is another person, not yourself, so friendship must build a relationship with someone else. A friend is someone you like: shared interests, same humor, common experiences. A friend is someone you spend time with. And a friend is someone you love, choosing to serve them. So we asked ourselves if Jesus was our friend. After we talked about like and love (Jesus’ love for us – wow! ), we considered if and how we spend time with Jesus if He is our friend. I am most encouraged if I spend time praying and studying the Bible first thing in the morning. But, like calling or texting a friend or seeking our husband for good advice, anytime is a good time to spend with God. Keep in mind that your next season of life may not be any slower, so choose what’s best each day. I appreciate the convenience, accessibility and accountability of the e-mail/blog daily studies and quick computer reference links. It is worth examining our hearts for sin if we are avoiding our Friend. Repent and be restored! 1. God has been teaching me about finances. How important it is to support pastors and missionaries. Jesus himself was financially supported by women. It is right to give! 2. I have learned that if I sit in the living room and read the word aloud. The kids soak up the word even if they are playing. They need to be quiet, but I am able to learn a lot and my kids see devotions modeled and important in mommas life. We also do family devotions as a time altogether. I’ve already shared my little trick in our FB group for having devotions with littles so I’m not sure this counts as an entry :-). A wise pastor’s wife encouraged me to have my daily quiet time where my children could see me in the Word daily. She counseled that they would “catch” the habit much easier if they saw it every day. More than a decade later, I can see her wisdom first hand as my kids are excited about their own quiet time. I light a candle while I have my quiet time, and the kids can’t disturb me unless there’s a bleeding/something on fire emergency. That little flickering light has been a gentle but persistent reminder through the years, and my kids have almost always honored it. God is teaching me that He wants all of the glory! God recently took some things away from me to clear my field of vision to focus on Him. He doesn’t want me to love and be passionate about activities, no matter how good they are; he wants me to love and be passionate for Him. But at the same time, God is so good to strengthen and encourage me through His word, including this recent study of Psalm 103 extolling God’s benefits to me, His righteous deeds, His compassion and forgiveness, O His great love for me. What joy to remember, to not forget, to set my mind on His benefits and abundant lovingkindness to me. With God’s glory as my chief focus, He will guide and motivate me in my participation in other activities. I am learning that only in a state of conscious, constant submission to and dependence upon the Lord can I have victory – and then it can be virtually complete! It is definitely a learning curve to develop the habit of walking after the Spirit, but I am seeing more and more the huge blessings that result. Do I fall? Often. Do I feel like a clod? More often than I’d like. But the Lord is faithful and WILL conform me to the image of His Son! My biggest “trick” for having consistent time with the Lord throughout my years of children at different stages (my youngest just turned 6) has been not to have any excuse to hit the snooze button! My feet need to hit the ground when that alarm clock goes off. That takes discipline at night in getting to bed on time so that I am fresh in the morning. I’ve had seasons of needing to squeeze naps in at different times of the day – or doing my most focused prayer time at bedtime rather than in the morning – but always I must get up when the alarm goes off…and have a regular plan for my devotion times so that I don’t waste the time in bleary-eyed staring. The Lord is teaching me about accepting and loving all others for who He has created them individually to be. We each are wonderfully and beautifully made in His image. I have meditated on this a lot lately, and it is lifechanging. He is also teaching me many ways in how to delight in Him, which I am greatly enjoying. One way is to read His words in the bible. They come alive and seem to jump off the page. I am so grateful. 1. God is asking for upward progress not perfection of me. I find myself wanting to be a perfect wife, mother, teacher everything right now! But falling on my face each morning, dependently asking a waiting on Him to reanimate me to fulfill his will, has helped me see his steady work in me. 2. I was full of excuses that I just didn’t have enough hours in my day, and very clearly I hear in my spirit a voice saying, there’s plenty of hours you are using to sleep that could be used differently! So I’ve been getting up earlier then I ever have and I’m amazed that even though I’m tired, his is always there to sustain me! Praise The Lord for his unfailing love! I find that the more I learn about God and His ways, the more I love Him and the more important it becomes for me to spend time in His word!! Passages which used to seem dry are now intensely emotional and personal. It is truly amazing and I love it!! It does not matter which part of the Bible I am studying, it is all meaningful!! These little Bible study booklets have been a wonderful resource in digging deeper while also juggling the craziness of real life. God is really teaching me to depend on Him to work in the heart of my child. 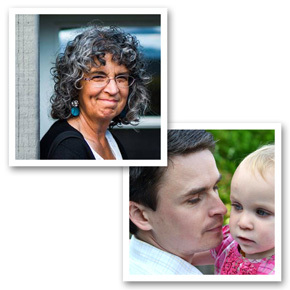 I am learning from and meditating on the stories in the gospels of parents who brought their child’s need to Christ. I’ve never done a study like the Psalm 103 study, before. But I’ve learned so much from it. Like how just focusing on one word can make you read the Word so differently, and how you can learn so much more about God by just pulling apart the words and focusing on one part of a passage. These bible studies have helped me grow closer to God. I have been struggling on how to reach my preteen daughters heart. She has faced many challenges in her younger years and we are seeing how they affect her now. It’s such a tender age! She and I are starting to go back through the Proverbs 31 bibly study together. It has brought some very deep questions for her on womanhood and being a godly woman. It has been incredible!! I had started the Psalm bible study, my middle child who is a new reader, devoured this one with me! She took off with it! It is so amazing to see the differences in all three of my girls. God is teaching me to hold each one gently, to remember that He has them-they belong to Him, and no matter the struggles my oldest has, He has her. I have learned to be gentle, it’s my word for the year it seems. I have been working on being consistent, when I miss a day I pray for help and I get it! A fussy baby who only sleeps if I hold her-I can rock a baby and read my bible! One of my older girls will request to read to me, from the bible, I will read something online to refocus back on God. It’s amazing how He works and answers prayers!! I heard this suggestion many years ago. Picture Jesus sitting waiting for you in the living room or wherever you have your Bible study. Patiently waiting for you to come and be with Him. God’s Word is continually teaching me is that He is with me 24-7 and caring for me in every way. God has been teaching me through his word that He loves me, loves me, loves me. I am trying to embrace his love for me. I am still working on how to find time for bible study, without being rushed. I appreciate reading everyones tips. I going to try some of them! I have loved studying Psalm 103! I learned that to heal means to sew back together, to mend. This painted a whole new picture for me of how involved God is in my healing! The picture of Him sewing back together and mending that which has been broken, ripped, or unhealthy in my life has blessed me. I also loved all the study techniques I learned throughout this past month! I have used blueletterbible before but through this study I realized I had only scratched the surface of what that site has to offer. Thanks for taking the time to teach woman how to study God’s word! I find the best opportunity for me to study God’s word is in the morning before my kids are awake. I have teenagers and I have a 4 year old, so I try to take the time to do some Bible study before bed once the 4 year old is tucked in. That gives me something positive to think about as I am going to sleep. Your studies and strategies have been perfect for this as they are short and thoughtful. (thank you!) Having a notebook to write things in is a great idea because if I’m too tired to do much else, I can at least review. What I have learned this past year is that there is so much wisdom in the Bible that when applied to life does actually make things so much better. God knows us well! My children and I have been reading Proverbs and every time we come to a verse that speaks about our words, lips, mouth, anything to do with what we say, how we say it OR what not to say or how not to say it, etc., we copy it. It is eye opening! Actually, my Scripture time has been with the children. I haven’t been able to get on a routine of regular, consistent, personal time with our Abba. I have been learning through this study and reading other Psalms that God is GOOD. His goodness doesn’t show up according to my will or plans or according to my fleshly desires, but according to His will, which is so much better. I also have been noticing throughout the Psalms the phrase “steadfast love”. This is really sinking down in my heart and makes my heart bow down before the Lord. My husband and I would usually watch a show after we had put the kids to bed every night. It’s easy to replace that time with studying the Word! For advent last night, we read Gen. 3:15 on the subject of redemption. It was rich to discuss with the children (10, 12, 13, 15) what redemption means, especially so for me after so recently studying Ps. 103:3 (I’m only on verse 4) and in my learning to believe the glorious purpose God has for women in His creation from Staci Eldredge’s book “Captivating.” What depths He has lifted us from to what heights! I get up at 5:00 weekday mornings, 5:30 or 6:00 on weekends to enjoy an hour or so of uninterrupted quiet before the household wakes up. Even though my children are older, they do not consistently respect my time and space to think or work uninterrupted. It’s hard to know the balance between being available and teaching them that respect. Even when they were younger, getting up early was what worked best for me (albeit, it was a little later in those days). One of the things that sticks out most to me this past month through doing the Psalm 103 Bible study was that I am so very undeserving of God’s mercy. It is so humbling to think on His exceeding, everlasting, and underserving mercy. Words cannot begin to describe the awareness God has given me of Himself through this study. Although I missed a couple days, I would use the catch up days to read and ponder what the Word was saying to me. This Bible study blessed my heart and kept my mind in constant consideration of our wonderful, loving, all encompassing God. My prayer for myself and others is that He will allow me to see His glorious working in everything I encounter and all circumstances of life. God bless Doorposts and God bless you, Pam!! I’m more an early morning person, so I get up early in the morning for my devotions. Of course, when the kids were younger, they sometimes got up early too. I would then give them something quiet to do – puzzles, books, coloring, etc while I hade devotions. I often nursed a baby and had devotions at the same time. When the kids were young, we taught them to have their own devotion time in the morning, so that is a great help now as I have my own then too. God is teaching me at this time to be patient, to wait in his perfect plan, and not forget what He has done for me. What God has been teaching you through His Word: The Lord has been teaching me to trust in Him more and that His love is beyond my understanding. I’ve had trusting issues for years due to some things that happened in my past. Our family has been through a trying 3 years, going through tubal reversal surgery, getting pregnant 10 months later, rushing to the emergency room with a tubal rupture at almost 6 weeks, losing the baby, my tube, and having a blood clot the size of my fist…when I woke up-the doctors were in awe and kept telling me they couldn’t believe I was still alive…I Praised the Lord because I know with all my heart that He chose to keep me here longer and all the while my husband was praying for a miracle in the waiting room(at the time he was praying he didn’t realize that the Lord allowing me to stay here was to be the miracle he was praying for). Then 10 months later we were pregnant again, we lost that baby at 8 weeks 1 day…it’s been 1 year and 5 months since the last heartbreaking loss….the Lord has used these trials in my life to grow our family closer to each other and to Him. I’ve realized that I must surrender everything to the Lord and trust in Him totally. There is nothing I can do and I am helpless without Him leading my life. I’ve learned that He is not just my Lord, but that I have to let Him actually Lord over my life in every area. I’ve learned to have total faith in Him, surrender all to Him, and that He loves me and knows what is best for me. He will work everything out for good in my life (If I let Him)…I’ve learned to let go, die to my will and to desire His will over my own. I pray He will bless us with more children to raise for Him…and I am so thankful He has opened my eyes and softened my heart to trusting. 7 years ago I decided to be a Christian who lives my life for God. This was my turning moment in life, and I became ever thankful for the gift God gave me (us). At that time, I had little knowledge of the Bible or the stories in it. A couple years later, God gave me a daughter. My beginning studies involved me reading children’s Bible stories to her! I would then compare these children’s Bible books to the actual Bible to see how relevant they were to God’s Word. At age 5, she is now going to an Awana group and memorizing verses. I also attend to volunteer, and I am memorizing verses as I help other kids memorize verses. Studying the Bible is not just a 10 minute (or however long) study time, but living God’s Word in all areas of life and including loved ones in the action. We can all learn together and create memories. That being said, of course there is silent, independent reading time, and I am not good at following through with a specific time every single day to do so. I wake up really early in the morning as it is for work, so I don’t really wake up any earlier for much else. On my half hour break at work I sometimes worship along to Christian music and spend time studying. Or, I’ll wait until I get done with work where I have an hour until my daughter gets out of school. Most often, though, it’s my daughter and me studying together in the evenings and reading stories and books about character growth or Bible history. God is teaching me to let him carry my burdens and that each day has enough trouble of its own. How do I make time for Bible study? Making time for Bible study has been a challenge at different times in my life, and easier at other times. I find that the days that I do not have my bible time first, my days are filled with more struggles than on the days that I make the time to put His word and time with the Lord first. I have found that by just making a decision to put Bible time first has helped me tremendously. I have made it just a part of who I am and don’t think twice about it now. For instance we know we have to eat every day, then shower, get dressed, school the children, cook, clean, etc….So in my mind I just put that as number one first priority on the ever growing list of priorities in my life. I have the desire to be close to the Lord and learning all about Him and His will for my life. Bible time and time with the Lord comes first, everything else comes after. From an early age, the children have seen Mommy and Daddy reading their bibles and they grab their bibles and sit by us and read theirs while we read ours. It is a sweet time that has developed….notice I say developed…at first they would just play quietly (and sometimes not so quietly) in their rooms, then they would come sit by us and read for 5 minutes, then go back to play, now they grab their bibles first thing and sit to read the entire time and often times longer than Mommy. It is such a sweet time for our family. I am studying through the book of James right now; I’m close to 1/3 done. Focusing on chapter 1, I have been through so many trials and changes in life, and this is a good book that has given me strength and confidence. I have learned that I should count it all joy when I fall into various trials, knowing that the testing of my faith produces patience. If I want wisdom to deal with my trials, all I have to do is ask God with full confidence and no doubting. By doubting, I am making myself unstable and I am not ready for God’s wisdom. God wants us to fully rely on Him and not the world. A person who doubts cannot decide who to rely on and will turn away from God at times. When we turn away from God, He cannot help us due to free will. You can only help those who want help. God has been reminding me that He is faithful and steadfast. In the midst of loss and grief, I can trust that His ways are best and He is working for the good of those who love Him. I don’t have to try to understand, I can just trust. Psalm 131:1-2 and 118:13-14 have been the verses of my season. I’ve been finding time to do Bible Study while my eldest is doing her lessons and my youngest is having independent play time. I long for the days where I get up early for my quiet time to return. God is teaching me how much He loves me- even through all my failures and brokenness. Oh, how sweet His grace is! We have six precious little ones, so my time with God is often sprinkled throughout the day. The one thing that has helped the most is a simple (but not always easy) commitment to reading the Bible before reading anything else that day – before checking my phone, looking at the calendar, reading a story to my three-year-old etc. – it may just be one minute or one verse, but it always leaves me hungry for more. I am learning that when I get upset it is a form of manipulation and being kind is better and usually as effective. I am learning to trust God with my day not to get upset when things take longer than I would like to (which is all the time with homeschooling my 3 with a 1 year old baby) I need to trust that he is in control and choose love over and over. As far as finding time to study, it works best for me to get up early, before my kids. It’s not easy, but it’s worth it. Even if I’m not up as early as I should be, I need to prioritize my Bible study and do that first. There are always other things that need to be done, but if I start doing those things, I too easily get caught up in the tasks of the day and don’t get my Bible study done. The Psalm 103 study was the first one I’ve done from Doorposts, and I enjoyed it very much! It was great to utilize new tools to dig deeper into the Word. I am learning to bless the Lord in all circumstances, and when faced with challenges, how important it is to continually bless Him at all times. No matter what, because His steadfast love for me far surpasses anything I can imagine. What a blessing! I go back and forth between doing my quiet time in the early mornings and right after breakfast when I can do it with my kids, we each pick a comfy spot and a Children’s Bible to read/look at for a few minutes. We talk about what we learned afterwards. I think it’s good for my kids to see me spending time with God and not always doing it while they are sleeping. Through God’s word, I feel God is directing me to trust Him more. I tend to try and work things out myself when I really need to pray and seek God’s word. I make time for personal Bible Study by telling my kids, who are 12 and 18, that I need time alone without disruption. I tell them I am studying my Bible and they usually take care of what they need themselves. God has been teaching me how the Old Testament fits with the new, particularly the Pentateuch. It’s interesting and fascinating to see his eternal plan being unfolded in good law to Israel. This is something I’ve struggled with for years. For the second answer, I was trying to wake up early before the children and that worked for just a little bit. It seems if I sleep in they sleep in, if I wake up they end up waking up. I have struggled to find a consistent time for this Bible study, I am working on it and any days I have missed have been saved in a marked folder in my email. I’m not giving up, I will continue to keep on keeping on. 1. I’m learning simultaneously about God’s holiness and His will from me be to be like Him in holiness, and the depth of His forgiveness and grace. I am learning that my identity is a worshipper, not a do-er. I am learning that I AM holy because he has consecrated me to His works, not because I am somehow going to work my way up to being good enough. 2. My best tip for Bible study time is really all about mindset. I’m learning to treat it like it is essential (because it is– how often do I say I can’t do this on my own?) Treat it like eating or showering. Make 10 minutes in your day somewhere to be quiet and worship. Don’t feel guilty when you miss it. Just begin again. Obviously the harder it is to eat or shower if you have a lot of really small kids, the harder it is to fit in Bible study. God knows that. Just don’t give up! I love how real God becomes when I spend time in his Word. It’s easy to forget in the busyness of life that He is alive and really here living inside and blessing me. I use apps on my phone to keep up with daily reading. It’s always with me so it’s easy to remember. Over the past year, as I have been having my quiet times in the Word, listening to sermons, fellowshipping at church and talking with my husband, the constant theme of ‘in Christ’ has slowly been opening up to me. I have been learning what this means in practical, daily, homemaking life. It’s been an exciting and richly humbling gradual revelation. Choosing to be ‘in Christ’ and being led by His Spirit has caused shifts in my thinking and actions that are undeniably beneficial to my life, my marriage and my family. Thank you, Lord! I really enjoyed the study on Psalm 103. I already knew how unworthy I am to receive the love and mercy of God, but doing this study has revealed other sins I need to confess and forsake with the help of God. I know He is compassionate and will help me. I wish there was a ‘like’ button on this comments page! I like so many of these wonderful posts! I really enjoyed the Psalm 103 study and I guess I just really needed to focus on how much He loves us and how we are forgiven, therefore how we should love and forgive others. Sometimes we forget just how much. I also am learning a lot about His grace being sufficient. My husband does his personal Bible study first thing in the morning, so it doesn’t work for me to do it then. So, I have found it easier to do it right after we finish school, in the afternoon, while the kids are ready to play and be on their on for a while. I’ve been going through the Psalm 103 study (I’m halfway through now … getting there!) and have been really, really, enjoying it. I especially enjoyed spending some time meditating on the list from Torrey’s about the way “redeems” is used in the Bible. Wow, God is good to us! To make time for a Bible study, I nurse my baby! Beautiful time to read, pray and sing with my little guy. I’m thankful to be forced to sit several times a day. I know that God is teaching me to focus on His complete forgiveness of my sin and to extend that same grace and compassion to others. I am currently about 2/3 ways through studying the Proverbs 31 study and even the first day was a real ‘a ha’ moment because it showed that it is the fear of the Lord that was the root of all the fruit in the Proverbs 31 woman’s life! One way I have found time to study is to get up a little earlier than my family and study before they get up. Thank you for the studies and also the opportunity to enter this giveaway! I used to get up before my children to do my prayer and Bible study but I haven’t been able to do that (or be alert enough) with a newborn. My new strategy is do my Bible study at night (after they are in bed) and read a devotional and pray in the morning. I’m currently learning about hope. Whether it’s in this world or in Christ Jesus. Sometimes it’s hard to not worry but if God can feed the birds, how much more will he provide for his daughter. I am learning to trust the Lord and wait patiently for Him–have actually been going through your Psalms 37 study and love it! For the children, they are to get up at a certain time each day and first have their own Bible time. The little ones are to be quiet during this time also. I have Bible time with them separately. 1. I have been learning that I don’t need to read a prescribed amount of the Bible every day (IE _# of chapters). My spirit has been feeling fed by smaller portions that I take more to heart and meditate on. I have also at times done a hand/yarn craft while reading through Psalms as a mid morning prayer time. I meditate and pray about a verse or phrase as I work for a bit between each, one chapter each day. I really enjoyed my first latch hook project to give as a gift later. I just finished the Proverbs 31 study and can’t wait to start this one. The Lord is graciously teaching me how little I know! The depth of these studies has thrilled me. Currently, I’m trying to read my bible in bed, before I even get out. If I get out, all my children wake up and come running. Thanks for these studies and the giveaways, Pam. My husband and I are preparing to enter the mission field and God has really been showing me His great love in my Bible Study. Through the Psalm 103 study, He really brought peace to my soul during this unstable time we find ourself in. God was, is, and ALWAYS will be faithful! God has also really been showing me the necessity of daily time with Him. As difficult as it seems at times, I wake up early in the morning, before my children get up to spend time with Him. It is always rewarding, and Christ gives me the strength to live for Him for the day. This study has really opened my eyes to exactly how much He loves me. I battle w not ‘feeling’ loved a lot and not feeling good enough to be loved, so this study really hit a tender spot in my heart – in a good way. Thanks Pam! God is teaching me so much right now. He is helping me to overcome my undisciplined ways; showing me the benefits of quiet lips; and teaching me to share His blessings with others. As for Bible time, this is one of the things God and I are working on. I pray daily that He will help me be a more disciplined person, a hard worker and remind me to “go to the ant.” I am learning to wake early to spend time in the Word. I cherish that quiet time. I have now completed several of the Busy Mama studies, and learning the depth of God’s steadfast love has been an amazing journey. As Christians, and from a surface perspective, we know that God loves us. These studies have helped me to see the depth of His love for me and how unfathomable that truly is. It is hard to put in words what God is teaching me. He is teaching about who He is, not what He can do for me. I am learning that having GOD is all need. I try to get up earlier than my girls. On the days they wake up with I get a practical application of how to show Gods love to my children. The day that they just were a little rambunctious was the day we were talking about God’s love and he is slow to anger and always abounding in love. God is good to teach us what we need to learn at the right moment. Practical speaking I have my girls look at books or read or even start on school. Through the Busy Mama Bible Studies, God is showing me that even as a busy mom, I can make time to be in His word. In my daily life, He is teaching me to rely on him, but also to recognize the abundance He has already given me. He is also teaching me how to love and accept myself for who He created me to be. I’m so thankful that He sees the finished work in me, and not how I am now. Thanks so much for a chance to win! I only discovered Doorposts this year, but it has been such a blessing to our home and homeschool! #2 I read my Busy Mom Bible study emails from my phone before I get out of bed in the morning! I try to do as much as I can on my phone, because it is always with me and easy to sneak in a few minutes here and there. God is teaching me to pray for my children…who else is going to? First of all, I had been praying for a Bible study time for along time. The Lord led me to an early morning time ~ 4:30 am! That’s right…:) He has been very faithful in letting me know when it is time to get up – whew! Sure could not do that on my own. Now, I am not perfect & it is difficult sometimes to get up – but the rewards of getting up at that time & WHY ~ sure out-weigh anything else! The Lord has taught me plenty in this study of Psalms. He is a mighty & true God. He also has done so much for me, too! Thank you for this study……. I have and continue to learn so much from the Psalm 103 study. I am learning that God loves me immeasurably, and that he wants me, my heart, not my actions, he wants a relationship with me, where I spend time with him in his word. I am learning that he loves me with the same tender love I have for my children, only more so. I came to the Lord eight years ago and have grown closer to him this last month than I feel I have I the previous eight years. Thank you from the bottom of my heart! This is my first time with a Doorpost bible study and it was so in depth. I loved digging into a deeper meaning of the verses. Also the tools you introduced me to were amazing. The information that blue letter bible and bible study tools contained were so useful I cannot thank you enough for showing us how to use them. I do a bible study with a friend and I cannot wait to show her these tools. My desire is to learn God’s word more intimately and to stand ready to share his truth with all. Thank you for all you do. God has been teaching me to remember Him and His greatness. I think I tend to rely on myself too much and though this study, sermons, my personal studies, and life in general I am learning how God is teaching me to rely on Him and remember what He has done and how great He is. Question 2–The only way I can manage to get quiet time in is to get out of bed early in the morning. If I wait, thinking I will get to it later in the day, it often doesn’t happen. Plus, my day just starts off so much better when I spend quiet time with the Lord. Question 1–I am in continual amazement at how God opens my eyes to the truth of His Word as I use studies like this to dig deeper into the meaning of words, verses, and passages of Scripture. Thank you for providing such a wonderful tool through these studies! One of the things that stood out to me in the study of Psalm 103 was the continual nature of the forgiveness (verse 3) and satisfying (verse 5) work our lives. I have also been reading a book by Susie Larson called Growing Grateful Kids. It’s been challenging me to parent from a new perspective. My husband and I have been participating in a prayer bible study with our church. I love all of the verses that list the promises of God and using them during my prayers. I love getting up early, but I do have early risers at my house. My 11 year old son is usually up at six doing school work when I get up. I’ve started having the kids keep their bibles or bible story books in the living room and if they get up while I’m doing my bible study they know to grab their books too. I am learning that God is in control, even of my adult children. I’m learning that I can’t be a “fixer” of their lives, I have to be an “encourager” and let God do the fixing. I have really been trying to make it easy to get God’s word in my day. So I placed Bibles all around my house. You can hardly sit down without having one at your elbow! And I have devotionals sent to my email on my phone, and I listen to Christian radio, and hear lessons and scripture there. Every minute helps and adds up! God has been teaching me through His word that He is King over my life and I am not. He’s also been teaching me to remember His lovingkindness which then will overflow onto my children as I spend time meditating on Him and putting Him first in my thoughts and actions. Thanking God for your heart to help busy mamas delve into the Word so that we may become the mamas God is shaping us into for His glory and for our children! I don’t quite have a specific set time every single day at the same time since each day is different. Sometimes it’s during my youngest one’s nap and I have the older two working on an activity or craft that will keep them busy for as long as I’m studying. I love how you give suggestions for including them into the Bible study with different activities…it’s been helpful in making the word of God fun to learn and remember. I also do Bible study after their bedtime. My desire is to wake up before the children and start the day off with the Lord but perhaps that will be a New Year’s resolution. One of my favorite times to read the Bible was discovered when my son, three years old, requested that I stay outside his bedroom door and read the Bible while he drifts off to sleep. Whereas previously, he would require a long time for me to stay with him, he would peacefully let me go, knowing that I was sitting right outside reading my Bible and doing my Bible study. My three older girls knew the routine as well, and would occasionally ask as well. The Lord has used that time, upstairs in the hallway, outside their closed bedrooms, reading with the bathroom light on, to speak many truths to me and encourage me through His Word. I love the way He gave me that time! God is teaching me that He is a jealous God who is not jealous in the way we often think of jealousy (like suspicious or envious, as though He would want for anything), but jealous to the point of fighting for us. Like a husband who would do anything to fight for his bride. He fights for us, and knows that by worshiping Him and Him alone, we are most whole. I also was reminded in the Psalm 103 study to always count my blessings, to forget not the benefits of being His child. I am so thankful for all the benefits of serving my God! GOD’S TEACHING ME ABOUT LOVE… It sounds so simple on the surface. It is, after all, the greatest of commands to love God completely (heart, soul, and mind), and secondly, to love your neighbor as yourself (Matthew 22:37-39). There is no exclusion as we’re even called to love our enemies (Luke 6:27). It’s very black and white. We are, simply, to love, but this includes the broken, the wounded, and the rejected. Jesus is asking us to love the unlovable in all their mess and mayhem. When it comes down to the heart of the matter, are we even capable of this manner of love? The good news is yes. Because He first loved us, we are capable of love as well (1 John 4:19). But there’s more. God shows us love, because He is love. Unfortunately, we are not love, and for us to be capable of manifesting Godly love, we must come to know Him (1 John 4:8). The better acquainted we become with Him, the more abundantly we are able to love. And God promises to draw close to us if we will draw close to Him (James 4:8). So, the question begs to be asked, how well do we know God? The answer lies in yet another question. How well do we love? Some days are better than others, but it will always come down to this: when we’re struggling to love someone then we’re the one distant from God. Ouch. MY MIDNIGHT MOMENTS WITH GOD – To be clear, I am not a morning person… AT ALL. Never have been, and suspect I never will be. I spent years fighting this truth, but reality kicked in late one night, and I once and for all embraced that I am uniquely and wonderfully made. So, if God excluded function ability prior to 9 a.m. from my DNA, then who am I to argue with the Creator of the Heavens and Earth. I now earnestly embrace my midnight moments with God. The house is quiet with everyone tucked away in bed, and it’s just me, God, and my cup of hot tea. My thoughts are clear, and I am able to completely focus my attention on His Word. It’s the time of day that His Word speaks to me with deafening clarity. It also brings my day to a peaceful close and at the same time prepares my heart for what the next day may hold. Well, you know, so long as I don’t have to get up too early. Oh wow,the Lord has taught me so much! I think the main one is He taught me to trust in Him even in hard times! As I went through the Psalm 103 bible study I was so overwhelmed at God’s goodness to me! He was constantly reminding me of His benefits and allowing me to share those with others that I had opportunity to counsel – some going through great trials. It proves to be the best remedy for discouragement. To just focus on blessing God for His salvation to me chases away the temptation to dwell on the hard things in life. God is teaching me more about how great his grace is. I’m a “recovering” perfectionist learning to let go of my expectations and trust God to guide me. There is no fear in love! I haven’t discovered a way yet to keep my littles from being awake or hearing me get up early to have a quiet time with the Lord. I’ve just had to make peace with the fact that different seasons of life bring different types/times of devotions. For now that means I try hard to get up earlier than the baby and three year old (though I’m up very late sometimes with my teens), but in reality it most often means I put my three year old on the couch with a book and encourage her to look quietly, hold or keep baby by me and ask the Lord to bless the time I do have. Right now it works for me to have my husband wake me up at 6:15 when he leaves for work. If I get out of bed RIGHT AWAY, I can get dressed quietly and have 15-30 minutes of quiet time before the children start to wake up. If my 3-year old does wake early (which happens many days), I set him next to me with a pile of Bible picture books, and we have our morning “quiet reading” time together. I think he kind of likes having that special time with mommy. But I know that if I don’t get out of bed right at 6:15, I might not get very much quiet time, so I am highly motivated to GET UP! Most days I can get thru one of the Psalm 103 lessons in my allotted time, thanks to the fact that they are short. Thank you for making lessons for busy mommas! I think what I am learning the most in the Psalm 103 study right now is how much I have to be thankful to God for. Even on the most trying days of motherhood and homeschooling, there is still so much to thank and praise Him for! God has been teaching me more about the magnitude of His truly amazing grace and love. One way I’ve found to have more time with Abba is by getting up earlier to “seek first the kingdom of God and His righteousness.” He tells us in His word that Jesus went out early, and He has blessed me so much when I’ve been willing to follow that example. God has been showing me – through making a great effort to spend time with him each day – that without that time spent with him each day, I suffer. I never realized what a huge difference it makes in my life to commit daily time to God. If I go a few days without it, I feel the effects. I still struggle with taking the time instead of jumping right into my day, but I am constantly reminded of how much I need it. I’ve also become much more aware of God and my need for his guidance in my life. I have ended up on my knees many times, acknowledging my need for his help. I think these are the things I have most learned so far in my studies. How do I make time for Bible Study? With four children, ages 3-14, and a husband who works from home, I’ve found that the only way to fit it in is to get up early or work on it at night, after everyone is in bed. I am a night owl by nature, but I find that putting it off until the end of the day makes it easier to just skip it. If I make the effort to get up early, I can usually get to it before I do anything else (except make coffee!). I don’t like getting up early, but it is definitely worth it. The kids are up by 8:30, so I make sure I am up around 7:3o. It helps that our room is on the opposite side of the house from the children, so my getting up doesn’t disturb them. For the last several months, I feel like God has been teaching me how important it is to worship Him! Worship, praise, and giving thanks has been a theme for me at church and in personal study. Now that our children are older, I am able to get up before them at 7am, and have my Bible study time with coffee. It’s one of my favorite times of my day! If I don’t spend time with God before I start my day, I have found that even with good intentions, I don’t usually sit down for Bible reading. 7am is a good time for me – early, but not too early. My children are very young and wake up at the crack of dawn…and I have found I sometimes have to almost “force” myself to take even a few moments of time for devotions whenever there is a quiet moment. So I often depend on short devotionals with scripture printed and then pre-digested for me. Yet even these few moments make a difference, and I am always glad I had them. THANKING YOU THANKING YOU PAM! Revelation by prayer has come to me on some parenting issues in our family….I let my children stay up with me! We stay up and clean together first and then we can do a puzzle or learn to knit or sew or whatever and this is the time of day when my husband is mostly here and not at.work so they get more time with him too. I get them to be no later than 11:00 and then I go to bed and I feel like getting up at 5:30 in the morning and my children are all so worn out from the night before that I get to enjoy the quiet morning and finish up some dishes or whatever….it’s awesome! I don’t have to get them up until about 7:00. I just do a lot of my studying with my children. You could have study with your sons in the morning and with your daughters at night or whatever works best and then have times where you study together. Fix tea in a fancy tea pot with matching tea cups and they will never forget it. Just hunker down all nice and cozy and seek the Father and His Son together. I realized I was being so selfish with my time and that I needed to surrender to being a servant to my family. On Friday nights and Saturday nights I put them to bed a little earlier so I can do planning and such but I find that reading to them the Bible in their room until they fall asleep eliminates the bedtime battle. They love it and they love just being with their parents and hearing the word…the Almighty gave me some real life changing solutions. Lately, God has been showing me all the little places where pride is separating me from him. It’s always the little stuff that sneaks past the radar and starts to drive in that wedge. He’s also been showing me the places where I’m doing things He didn’t ask me to. If I allow myself to get busy doing works that are for others to do, it keeps me from doing the works He has for me. So I’m working on getting rid of things I don’t feel He’s called me to. Some of it isn’t even all that time consuming, but my mental real estate is in low supply with 3 young kids. I am currently learning in bible study how to have a disciples personality. I know it takes every day studying Gods word. I fit in time since my children are older, by making time for study. Making it a priority.